The unemployment rates in the Eurozonekeep growing higher. > Home / News / Economy / The unemployment rates in the Eurozonekeep growing higher. The unemployment rates in the Eurozone keep growing higher. The Eurozone unemployment level has hit another record highin January. The percentage of people without a job in the countries from the Eurozone rose to 10.7% in January, while December's figure was revised up from 10.4% to 10.6%. This means that there are 16.9 million people out of work today. The situation in Italy is most concerning as the unemployment rate rose from8.9% in December to 9.2% in January, which might lead the country into a second recession in four years. Spain continues to have the highest unemployment rate in the euro area - 23.3%, while Austria has the lowest rate at 4%. This troubling data comes a day after the European Central Bank (ECB) said it had provided a further 530billion euros (£448 billion) of low-interest loans to 800 banks across the EU. The announcement was welcomed by the financial market, with banking shares rising strongly on Wednesday. 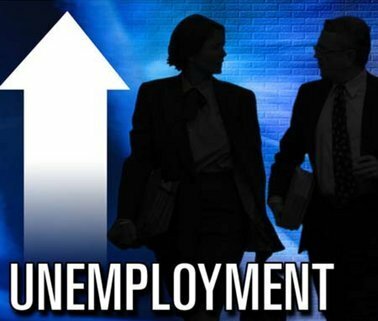 In spite of the euphoria in the banking sector, the real economy remains very depressed and the key factor is the unemployment rate, both socially and because of the damage to growth. Meanwhile, separate data from Eurostat showed that inflation in the euro area also keeps rising; to 2.7% in February, increasing slightly from 2.6% in January. This is primarily detrimental for consumers, as they are not only facing high and rising unemployment, but also diminishing purchasing power.